Remember the robot servant that Rocky gifted Paulie in 1985's Rocky IV? Every kid who saw that movie desperately wanted one of those robots for themselves, and now that those kids are all grown up, they can finally buy that very same robot—or at least one of its direct descendants. Millenia comes from the same company, International Robotics Inc., that made the SICO robot that appeared in Rocky IV, and countless other publicity stunts from the 80s. But as that robot's modern descendant it boasts better articulation, quieter operation, smoother motions, and a slightly less cheesy form factor. 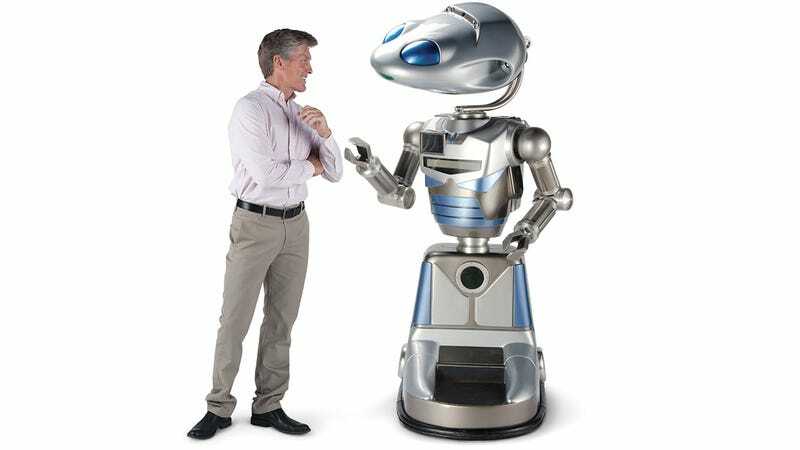 Millenia can be operated remotely using a discreet wireless controller that includes a mic for making the robot appear to talk and interact with people, or it can be pre-programmed with complex routines and performances if interactivity isn't required. But completely autonomous it is not.